The U.S. healthcare industry is rapidly evolving toward a new value-based business model that rewards quality care at the lowest possible cost, while penalizing providers for care that is inefficient, of poor quality, or not safe. 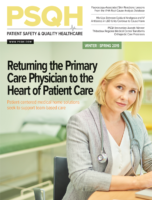 In this new environment, the delivery of quality care is a continuous challenge, particularly with changing rules and expectations in terms of how to document, measure and follow best practices in care. 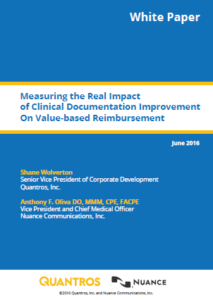 Download this free white paper to learn how exceeding quality standards, achieving better clinical outcomes and controlling costs are becoming more necessary than ever before.